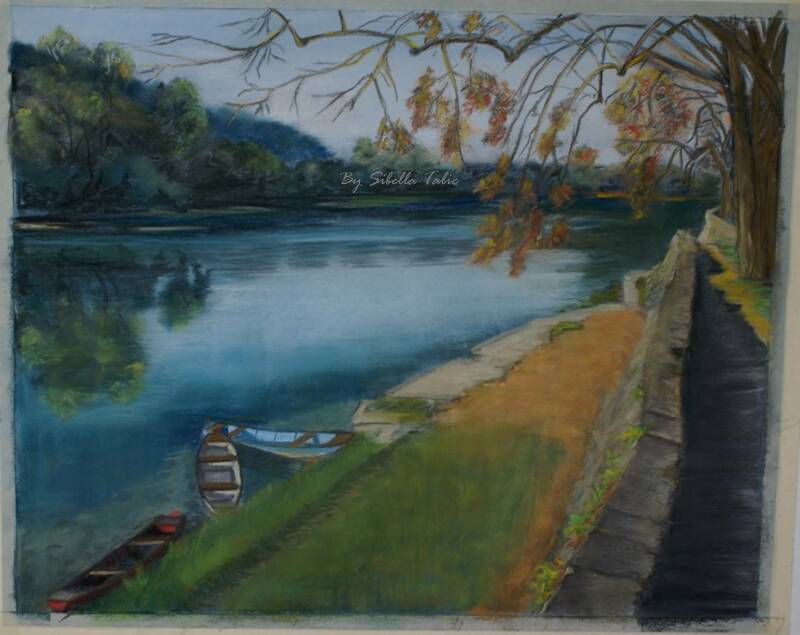 My new pastel landscape – Part V – Done. I am so happy to be done with my pastel landscape. I love how it turned out. It will remind me every day of my hometown and the beautiful Una river. In Latin Una means “In one” or “Together”. I decided to call the painting “Together”. Even though I now live far away from Una, still in my heart we are together. It’s beautiful… very serene! I love all the colors in the water and the boats. I love it! You are very talented! Congrats!!! No wonder all your baking looks so fantastic, you are truly an artist! I love the depth of the picture with the tree in the front and the water and forest in the background. Where are you going to hang it? Thank you Bobbi! Still have to frame it. I am not sure where to hang it yet. I have to paint all my rooms, so after that I am sure it will find a nice spot. Wow! So beautiful. And how nice that every time you look at it, it will remind you of your hometown. What a nice memory.